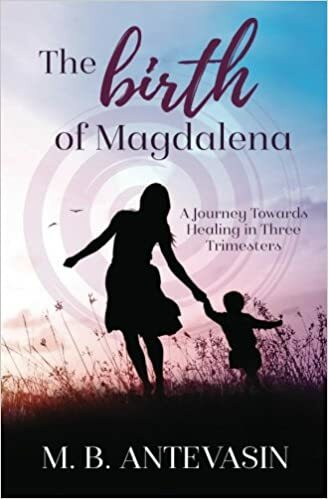 I wrote the book The Birth of Magdalena about healing your wounds and finding your power. It is a story about a journey, shared in hopes of inspiring other women on their own journeys towards healing . We do not only carry our own wounds with us, we are carrying the effects of wounds that went unhealed through generations of women in our families. But, just stopping to take the time to understand that, we can break free from our old patterns and take a step forward, breaking the cycle for ourselves, our daughters, our world. I realize that birth is not part of everyone’s story, but it was a huge part of my story. Birth can teach us so much about life, love and ourSelves! Birth is so much more than a way to bring babies into the world…but how we birth and how we bring our babies into our world shapes so much of their life, and ours, and the World. Birth is such a great chance to learn and to grow. But there are also… other mountains to climb, other challenges to overcome…other chances to say “NO” to being a victim, say “NO” to a system that doesn’t work, say “NO” to what family and society needs and go inside yourself and say “YES” to yourself and what you need. Say “YES” to love and to light…and keep Birthing THAT into our World!